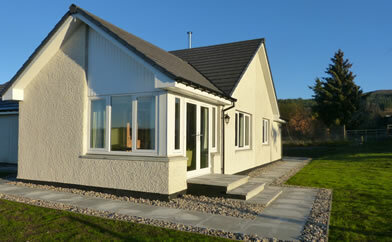 Glengarth is a brand new luxury three bedroom house situated in the picturesque Strathnairn valley and sleeps 6 people. 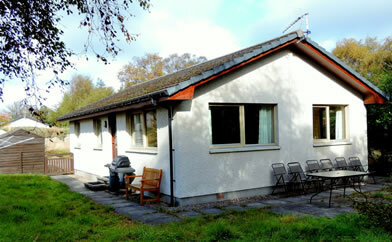 The cottages have either 2 or 3 bedrooms and can sleep up to 6. 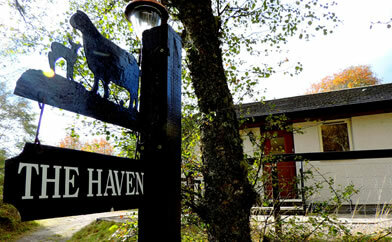 The Haven has Category 1 accessibility (unassisted wheelchair access). 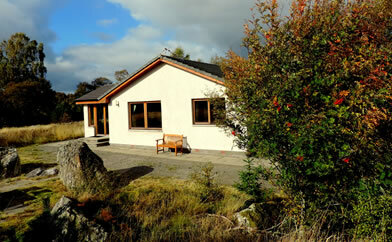 Four of the cottages are dog friendly and the gardens are securely fenced. Each cottage has large windows and carefully positioned bird tables for watching the variety of wild birds inhabiting the surrounding birch woods. Beginning at the cottages, there are approximately 4 miles of beautiful woodland and riverside walks on Dalvourn Farm which are fenced off from livestock. These connect with extensive forest roads within Forest Enterprise woods allowing you to walk or mountain bike for miles into the hills. Whatever your interests or leisure pursuits, there is much to do and numerous places to visit during your stay at Dalvourn. 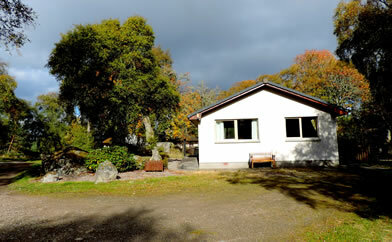 Our location, just 5 miles south east of Inverness, is perfect for exploring a range of activities in all directions. 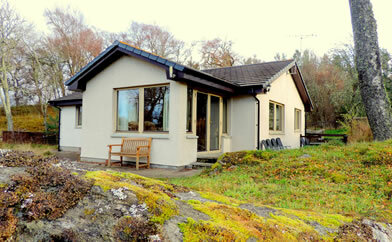 Regardless of age or ability, the Highlands offers something for everyone. © Dalvourn Holidays. Links page. Website by Redkite Internet.